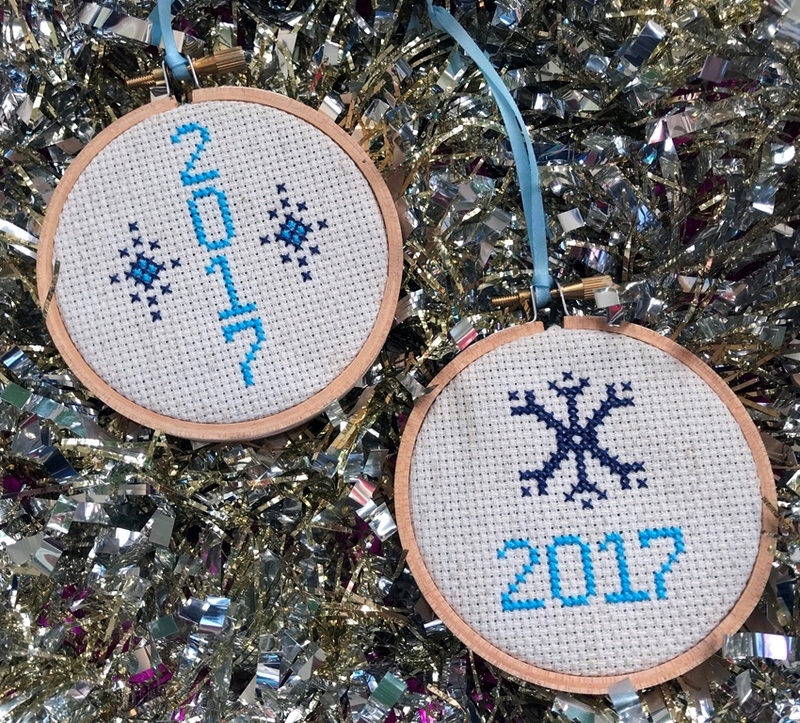 Every year right before the holidays I teach a cross stitch ornament class at ReBelle. 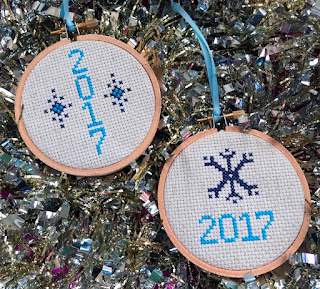 Basically it is a simple little project that can be done in an afternoon and teaches the basics of cross stitch and creates a nice little ornament that can be gifted or hung on your tree. I have been using the same design for a few years, simply updating the numbers for the year. This year as I was preparing for the class I decided to add a new design to the mix for 2017. I ended up creating two new designs, but I am saving the second one for the 2018 holiday season. 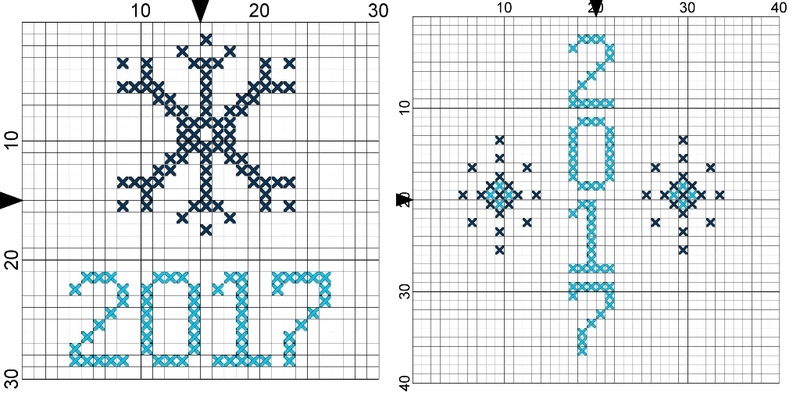 Anyway, here are the two patterns if you want to stitch your own. A printable pdf of both patterns can be found here. The project takes 1-2 hours depending on your skill level. My favorite finishing technique for this type of ornament is to create a fabric back. You can check out my tutorial on that method here. Alternately, you can finish the ornaments by cutting the fabric really close to the hoop and attaching a piece of card stock to cover the back. Enjoy! !